Good news!! 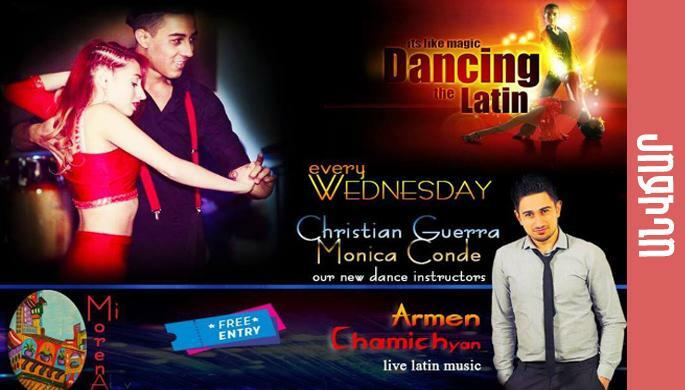 From now on every Wednesday, dance teachers Monica Conden from Columbia and Christian Geren, from Cuba will teach you hot latino dances. There also will be live music with Armen Chamichyan. Offer of the day: Cuba Libre only 1100 AMD.